In their biggest shake up since the New 52 DC has launched DC YOU, an initiative designed to change the status quo of some of their most well established characters. From completely changing the tone of the Batgirl series to revealing Supermans secret identity DC have set their sights very high, none more so than in the case of their most popular comic Batman. Batman #40 was originally intended to be the last for long time series partners Scott Snyder and Greg Capullo however they have decided to stay on and introduce the world to a brand new Batman. After the shock ending to Endgame it’s revealed that Bruce Wayne is dead and Commissioner Gordon has taken over the mantle of Batman.When the designs for the new mech inspired Batsuit were first shown fans were very worried that DC was taking a page out of Marvels funny books and basing the character on Iron Man but it’s safe to say Snyder listened to the characters fans, he even uses their nickname for the Batbunny suit at one point, and Gordon doesn’t rely entirely on the mech suit indeed he gets a newly designed regular Batsuit of his own. 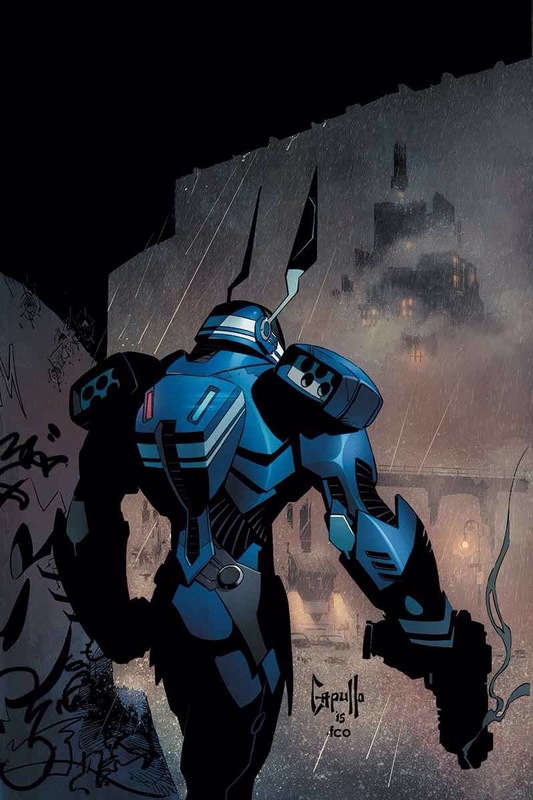 Gordon doesn’t just jump at the opportunity to become the new Batman however, but the thought of a Batman that works within the police is an intriguing one. Something tells me Gordon would have been on Tony Starks side during Civil War. Plus Snyder tugs at our, and Gordon’s, heartstrings by setting up the other candidates as people with family’s who have a lot to lose if they go out to fight crime and get hurt in the process. Snyder does a good job of introducing us to this new and improved Batman as well as his new support team, he faces a new villain with powers unlike any we’ve seen so far and Gordon manages to think his way out of a situation just as Bruce Wayne would have done. So even though this might be someone else in the suit it is very much still the Batman we all know. Time will tell how long this change will last however as Batman cannot exist without Bruce Wayne I definitely. The artistic team has stayed on also, with Capullos pencils being some of the most dynamic in the business making the action scenes pop. Colourist FCO Plascenia continues to think outside of the box and brings colour into the dark and gritty world of Gotham, giving this book a very different look to the other Batbooks out there. There is no way to discuss this issue without talking about the controversy surrounding the Twix adverts in the print editions. In an audacious move DC has included adverts in almost all of the DC YOU titles that are in the middle of the page, directly interfering with the reading experience. The artists of the affected titles had to try and work around this and Capullo is generally successful in disguising the fact that the ads won’t be in the collected editions by splitting the page up into different designs for the new Batsuit. Snyder is much less subtle and even manages to slip in a derogatory reference to putting ads on the Batsuit. Overall this is a brilliant start to a new run on the title, and is a great jumping on point for new readers. The creative team may have been planning to have left Gotham by now but they obviously have stories to tell, and this is going to be one wild ride.